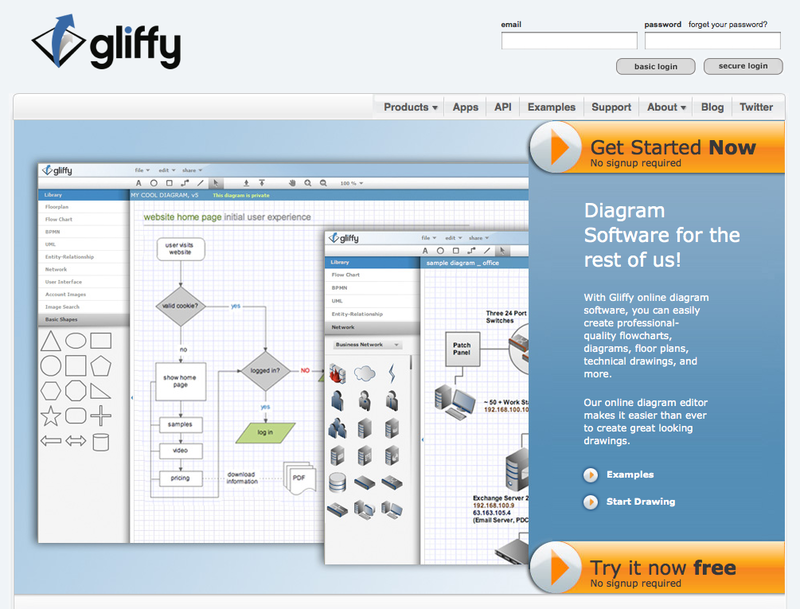 Gliffy is a web based diagram software. If you are on a different platform than MS Windows you are maybe searching for a good diagram software like MS Visio. The tool works with flash in your browser and allows you to use it on every platform with flash support. You can share your documents with others and export them for your presentation. A professional version is available for JIRA and gives you more space and options to save documents an collaborate with others. There is a huge amount of graphics you can use for different kind of diagrams. Network plans, rack visualization on much more. Take a look at this great tool.